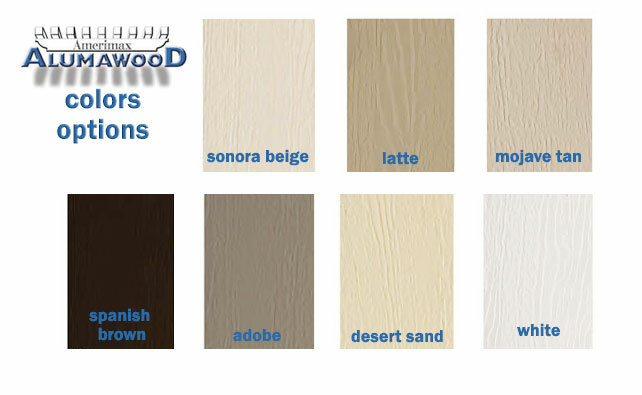 Alumawood color formulas are available below for download. We put the color chips on here to help figure out the color of your Alumawood patio cover. 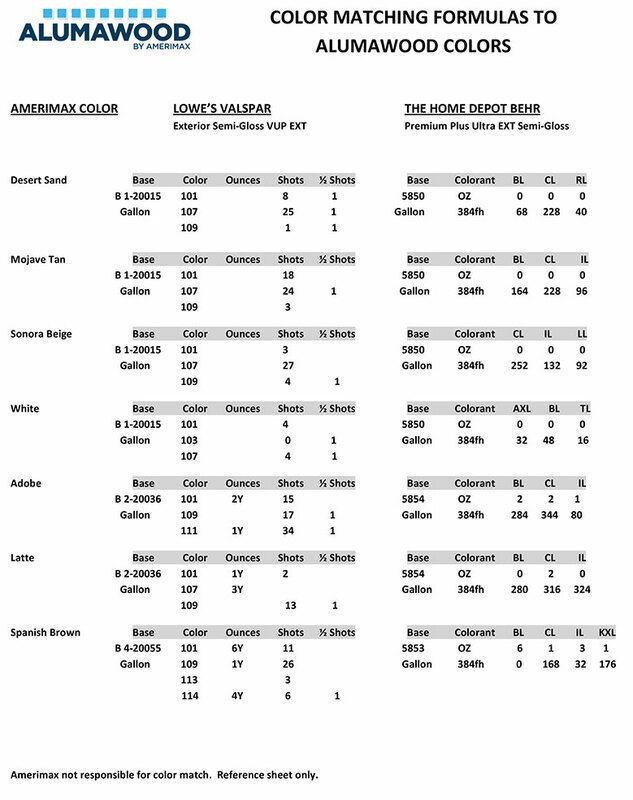 There are formulas for Hope Depot and Lowes paint centers.